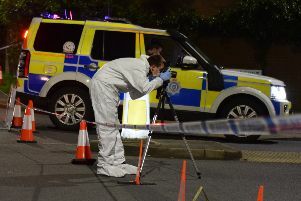 Police have arrested and charged a man in connection with a robbery at a bookmakers in Eastbourne. Aden Thompson, 27, unemployed, of Penhurst Close, has been charged with the robbery and is due to appear on bail at Hastings Magistrates Court on December 7. Officers were called to the incident at Ladbrokes, in Brassey Avenue, shortly before 1pm on Sunday (November 20), where a man had walked into the store and demanded money from staff, before making off with a quantity of cash. No weapons were seen and no one was injured. Less than 48 hours after the robbery, officers went to an Eastbourne address and made an arrest.